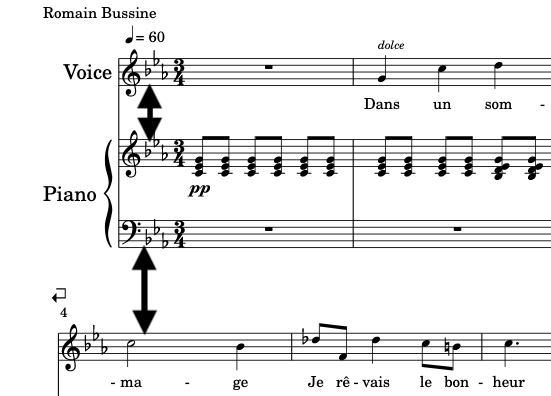 You can now easily customize the text styles of your scores. We also added more than 150 fonts from Google Fonts. 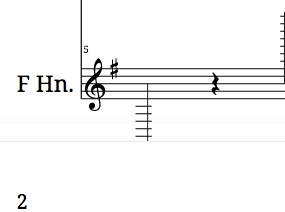 These text options are available in the Layout settings of your score. First, choose the default font for your score, then adjust the styles for the specific text elements. Learn more about this update and how to use custom text styles. The second update from March is the ability to customize your keyboard shortcuts. In our music notation editor you can quickly add your own keyboard shortcuts, and editing keys associated with existing actions. To start customizing your shortcuts, press Alt + ? in the editor, then click on Customize. Learn more about this update and how to create your very own shortcuts. Our native iOS app now supports MIDI devices with our step-by-step mode. For USB MIDI devices, simply plug them to your iPad or iPhone using a USB to Lightning cable (your device must be compatible). The list of available devices is displayed in the score settings (see below). In the iOS editor, we added the support for Concert Pitch and multiple fixes for grace notes. We now have better support for imported MusicXML/MIDI files from other Cloud apps (e.g. iCloud/Dropbox/Google Drive). We also added the support of other files formats like Guitar Pro, MuseScore and Power Tab. For iOS 11 and iOS 12 users using our authentication by email and password, we now use the same credentials stored in the iCloud Keychain for our iOS app and our website flat.io on Safari. In the previous version, when a system height was increasing a lot, the last system of the page could be shifted out of the page. On the image below, you can see that the note is out of the page. With the new version, the system will instead be pushed to the next page. We have changed our spacing system for staves and systems, so you can now express more accurately the minimal distance you want between systems and staves. It is expressed as the minimal distances between upper staff bottom line, and the lower staff upper line. Import the maximum number of measures per lines. We now try to deduce the global number of measures per lines from the system breaks in the imported file. We then remove the corresponding system breaks to clear the display. If there are system breaks in the imported file, we also set the notes spacing to the minimum, in order to preserve the initial and intended layout. Thanks again for all your feedback, we always love to love to hear from you! If you have any comments or suggestions, please drop us a line at hello@flat.io. More posts by Vincent Giersch.